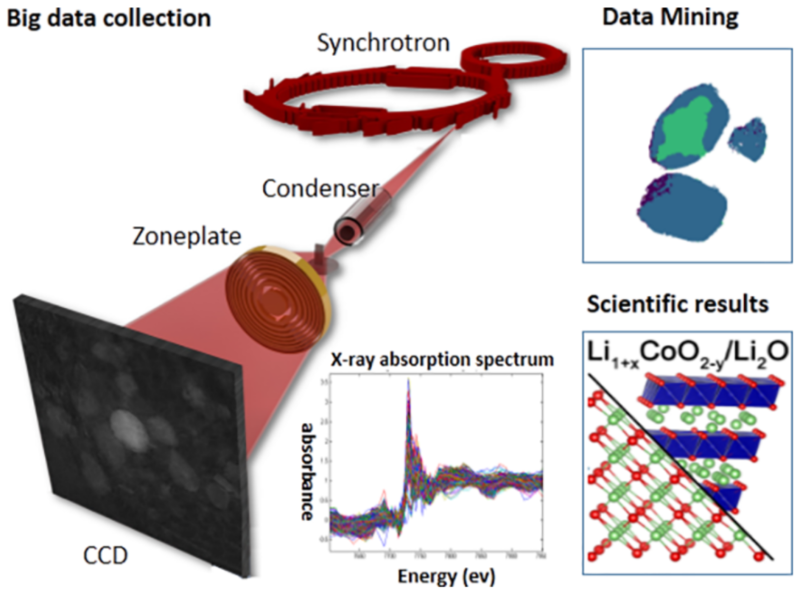 An international research team has applied synchrotron radiation nanoscale x-ray imaging technology and scientific big data mining in an in-situ study of LiCoO2 battery electrodes. The research results can help materials scientists to further improve the properties of battery materials, and are also important for basic scientific research on the failure mechanism of battery materials. In a paper published in ACS Energy Letters earlier this year, the team, consisting of scientists from the Beijing Synchrotron Radiation Facility at the Institute of High Energy Physics of Chinese Academy of Sciences (CAS), the Stanford Synchrotron Radiation Light Source, the Institute of Physics of CAS and Brookhaven National Laboratory, demonstrated the in-situ monitoring of a selected LiCoO2 particle over many electrochemical cycles. Their results suggested that the particle is capable of re-adjusting itself in response to different local chemical environments. While it is exciting to visualize an individual particle’s behavior over long term cycling, scientists will naturally question how representative a single particle is of the entire battery cell. To address this question, the team surveyed the battery cell at many different locations. After initial data reduction, they effectively retrieved over 10 million x-ray absorption spectra covering more than 100 active particles. They developed an algorithm to extract spectroscopic data attributes, which are then fed into the computing engine for clustering. The computing method the team developed identified two different particles that were abnormal in terms of their spectroscopic fingerprints. These were attributed to two different unwanted side reactions that happened during the electrochemical cycling. This work was recently published in Nano Letters. The materials and devices people work with in modern society are often structurally complex and chemically heterogeneous. The complexity in the material is usually caused by the desired functionality that has requirements in many different aspects of the material properties. Taking a Li-ion battery as an example, scientists often evaluate the device by combining several different characteristics, including the energy density, capacity, cyclability, temperature stability, price, etc. Materials scientists therefore need to look at realistic systems, in which both anticipated and unanticipated material phases and reactions occur. The importance of locating functionally important minority phases in obtaining a deeper understanding of complex working materials and devices has driven the rapid development of fast, high- resolution, chemically sensitive probes, especially at large scale experimental facilities such as synchrotrons. While the experimental capability is advancing rapidly, more effort is needed to develop computing methods that can effectively and efficiently extract the scientifically important information from large datasets. By combining in-situ nano imaging capabilities and big data mining methods, this research has provided very useful insights in the field of battery research. Developments in data mining methods will play an even more important role as the facility continues to advance. 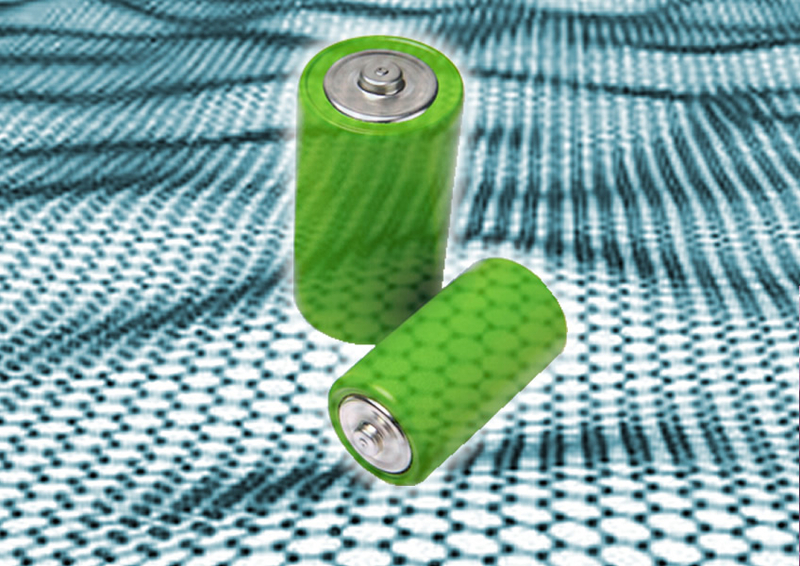 A study team conducted a study on high-performance graphene-based Li-ion batteries, in which three-dimensional (3D) graphene-based Li-ion battery nanocomposites with high capacity and long cycling life were developed.